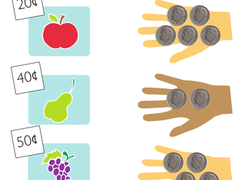 Coin recognition and simple adding are important skills -- without them, how will your smart first grader know how much money he has? 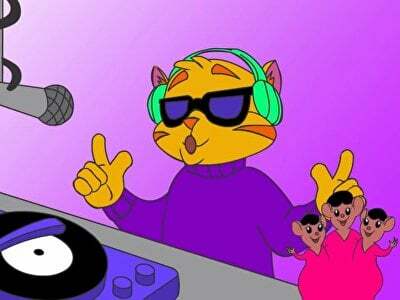 Does your child need practice with his math skills? This printable worksheet, which will help him count up to 100, will give him practice counting by 2's. 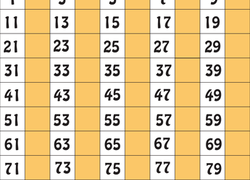 Learn to see patterns in numbers with this handy chart. 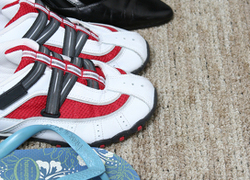 Kids will be prompted to skip count and color as they go. Reinforce math concepts with your students! Use this practice quiz to review number patterns. The backs of coins are as important as the front. Does your first grader know how to recognize a nickel from its back? 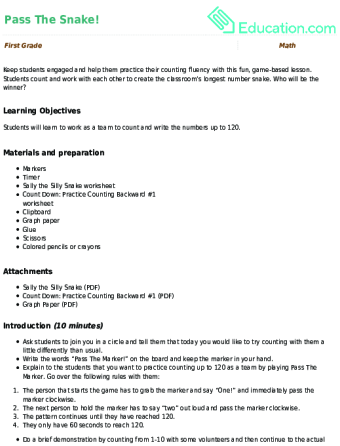 Keep students engaged and help them practice their counting fluency with this fun, game-based lesson. Students count and work with each other to create the classroom’s longest number snake. Who will be the winner? There's a face on the front of a dime, but what's on the back? Teach your first grader how to recognizes dimes from the back with this count and add worksheet. 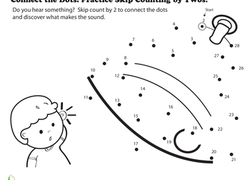 Searching for a worksheet that practices counting skills? 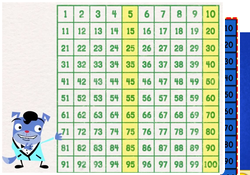 This printable asks your child to determine which series of numbers is counting by twos. his worksheet is a great way to get used to place value, and to see how it can factor in to simple addition. Monkey around with math practice, and help your first grader start skip counting by identifying even numbers. This cute little hermit crab is missing his sea shell. Connect the dots to give him a new home, and learn about odd numbers as you go! Help draw this fruit bat's wings by connecting the dots. 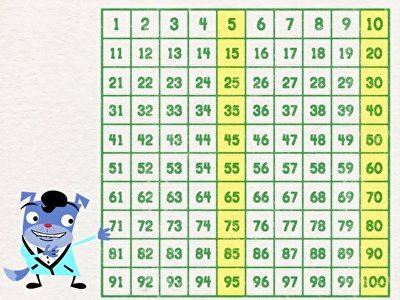 Your child will learn about odd numbers with this fun exercise!